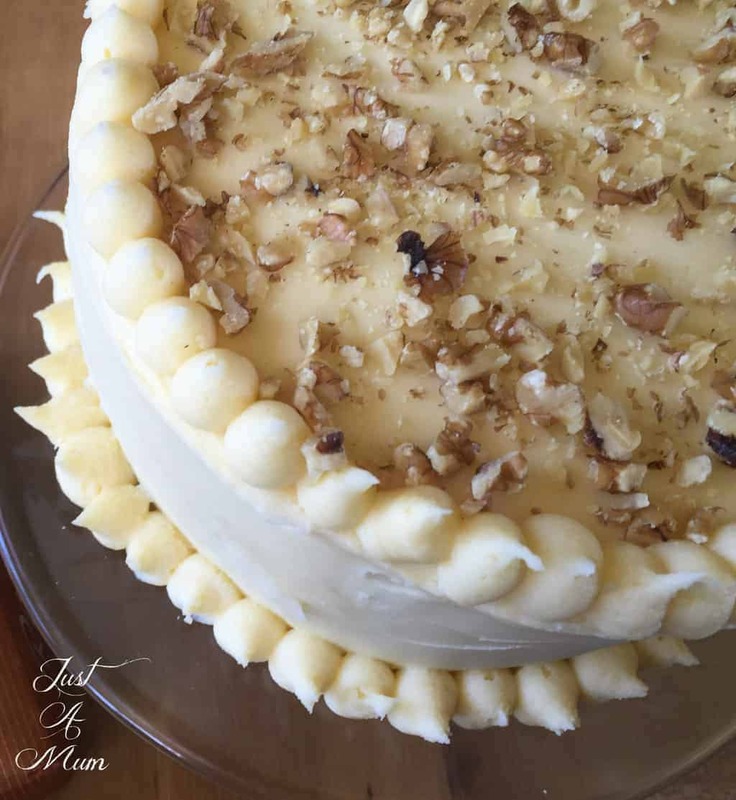 When you are after a sweet hit of intense flavour in your baking you cannot go past Carrot Cake, there is something about the rich dense delicious combination that is just so good! Whoever thought of putting carrot in a cake is a genius, then pairing with Cream Cheese Frosting – it just takes it to a whole new level of deliciousness! I love creating recipes that are simple to make and that the whole family can enjoy, so for this recipe I decided to take a classic easy recipe and make it special but in a way that you can all easily recreate. I love the stunning rich colour of this Carrot Cake, this is achieved by using unrefined raw sugar. Unlike refined white sugar, raw sugar retains its natural syrup coating which gives it added flavour and a golden colour. 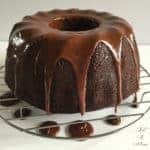 It’s this syrup coating that gives an extra depth to baking and cooking and is a perfect ingredient in any carrot cake recipe! 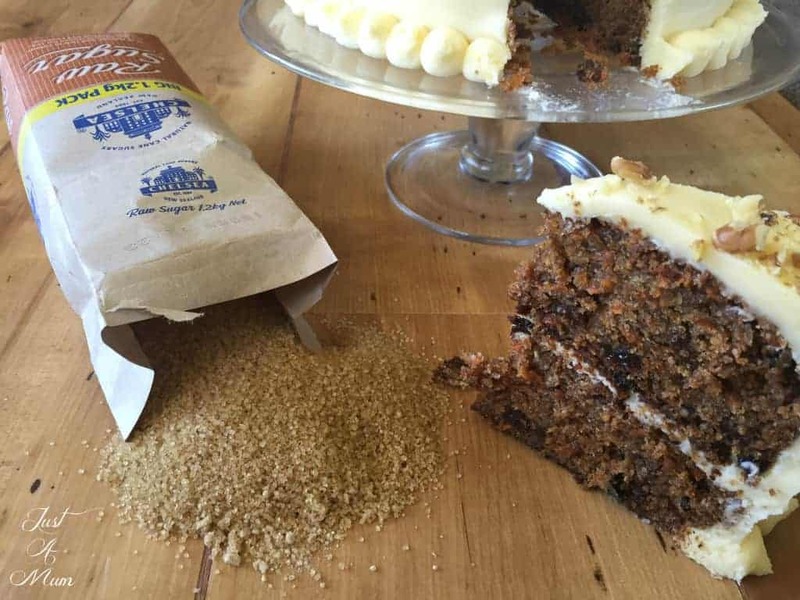 Chelsea Raw Sugar is divine to bake with and good in your coffee too! 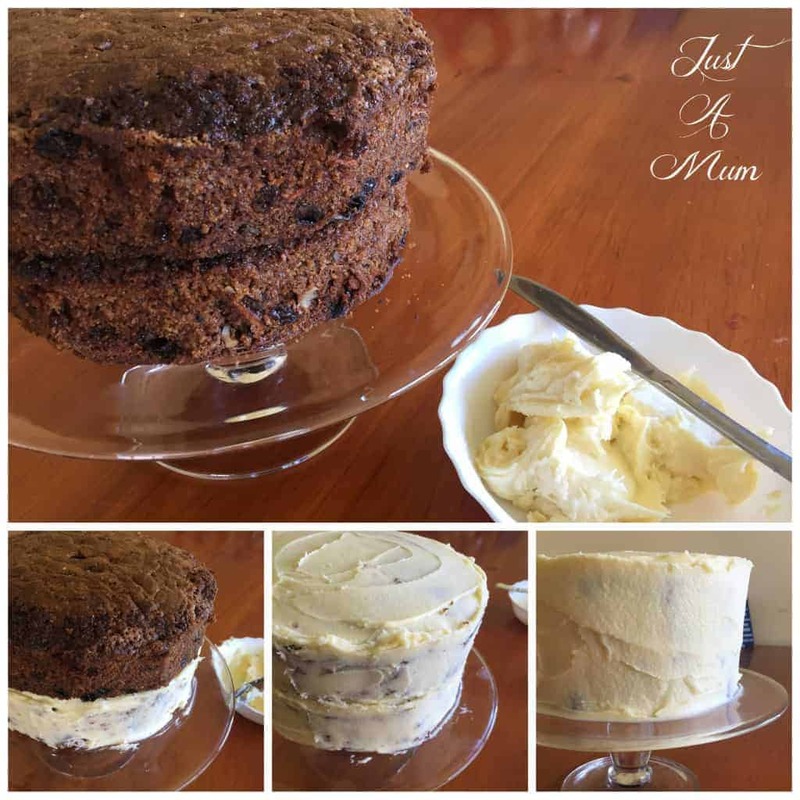 Just A Mum’s Cream Cheese Frosting Recipes. 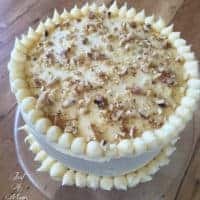 To prepare this double layer cake, I baked two separate cakes, trimmed the edges so they were in line then set about making a big batch of cream cheese frosting and started to ice! I iced with 3 layers of frosting, a crumb coat first, then I thinned the frosting slightly with a small amount of milk to achieve the second coat to smooth out the frosting finish and left it for a while in the fridge. 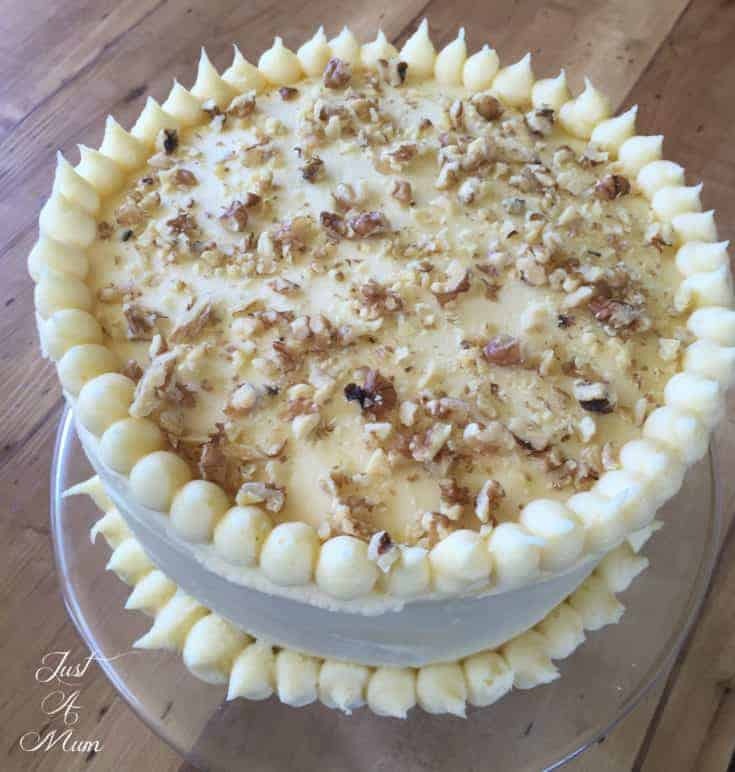 I then finished it off with a final layer of my delicious and easy Cream Cheese Frosting, a little piping around the edges and some walnuts to finish the top off and there you have it! I hope you enjoy this recipe and cannot wait to see your recreations of it! This is the basic single cake recipe, please double it for a double layer cake. Grease sides of a square or round baking tin (25cm) and line bottom with baking paper. Stir in beaten eggs, sultanas (walnuts if using) and carrot & mix thoroughly. Pour Mixture into the pan and bake. Check cake at 45-50 minutes to ensure it does not over bake - you may need to cook for 1 hour total time. Cake is cooked when knife or skewer comes out clean and centre springs back slightly to touch. Remove from oven to cool for 10 minutes before turning out onto a wire rack to cool completely. You may need to add more icing sugar if too soft or a little milk if too dry. Sometimes this is weather dependant! If you are spreading this over the cake initially for a crumb layer you may wish to separate a small amount out and add 1-2 teaspoons of milk for a thinner consistency. Leave in its thicker state for the final layer of icing. For Piping the edges, add nozzle to piping bag and spoon icing into bag and begin your pretty creations! 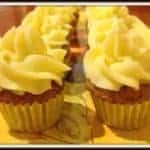 This icing will become soft if your hands are warm when handling the piping bag - if this happens pop it in the fridge for 5 -10 minutes before continuing. You can also store this icing in the fridge for a few days if required, simply beat again before using once it reaches room temperature. So as you can see it is a simple recipe packed full of flavour, the addition of the Chelsea Raw Sugar is absolutely essential to the deep rich colour and flavour of the final result! Chelsea Sugar has been a part of kiwis’ lives since 1884!! 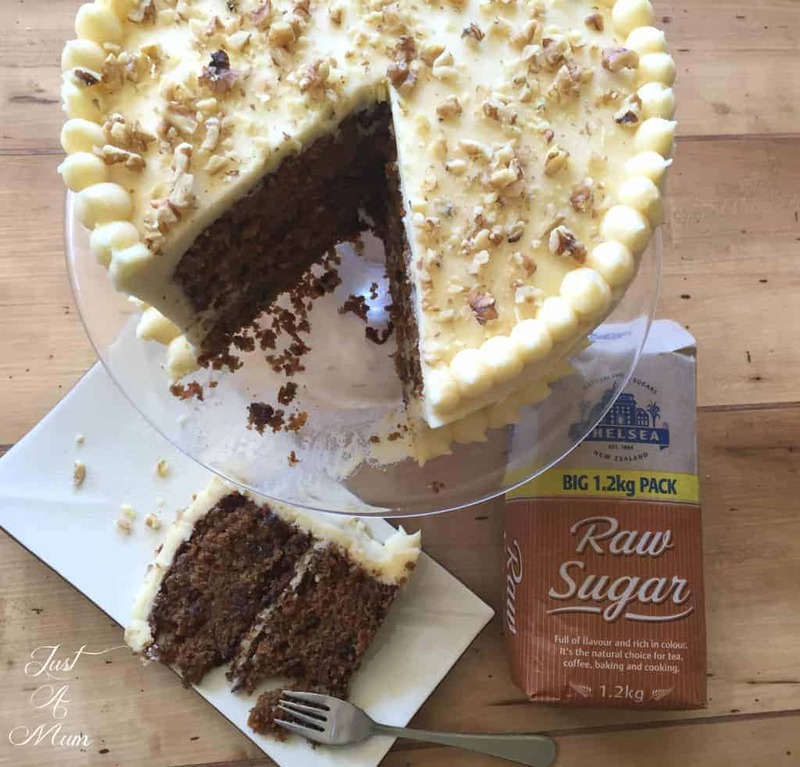 To celebrate this partnership with Chelsea Raw Sugar I would love to hear about your favourite recipe including Chelsea Raw Sugar or see a photo of your version of my recipe. 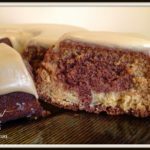 All you have to do is go to this Facebook Post and comment with a recipe you love that contains Raw Sugar or a photo of your recreation of this recipe!! 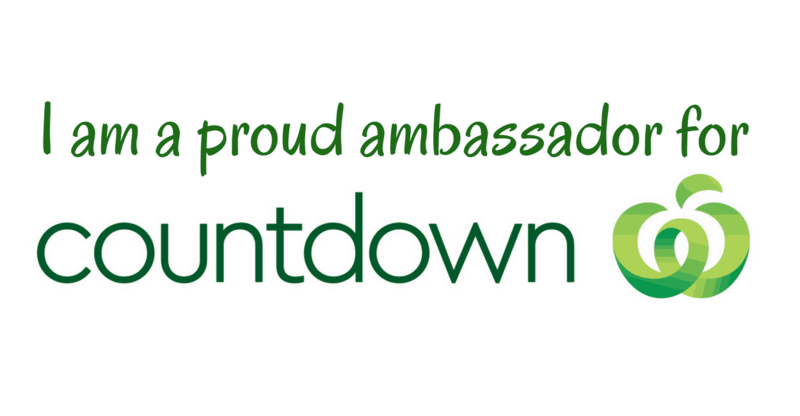 The winner will be drawn on Sunday 22nd of November and will receive a Chelsea Gift Pack valued at $50! It is that simple. 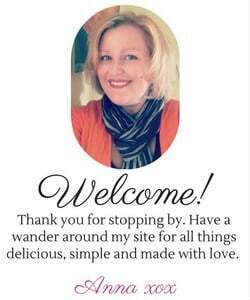 Thank you for taking the time to check out this recipe, you can follow me on Facebook or subscribe to my email list to be the first to receive recipes as I post them! Sure does look a mighty fine cake !